Founded in 1884, Central Union Mission has met the spiritual and physical needs of millions of homeless and hungry men, women and children in the Washington, DC-Maryland-Virginia area. No more is that need more apparent than among US veterans who have found shelter and support at the Mission. According to the U.S. Department of Housing and Urban Development, 39,471 veterans are homeless on any given night throughout the country. About 900,000 veterans are food insecure according to a report by the Center on Budget and Policy Priorities. Washington, DC ranks as among the highest rates in the nation with 13.5% of the population reporting not having enough food to eat, according to Feeding America. 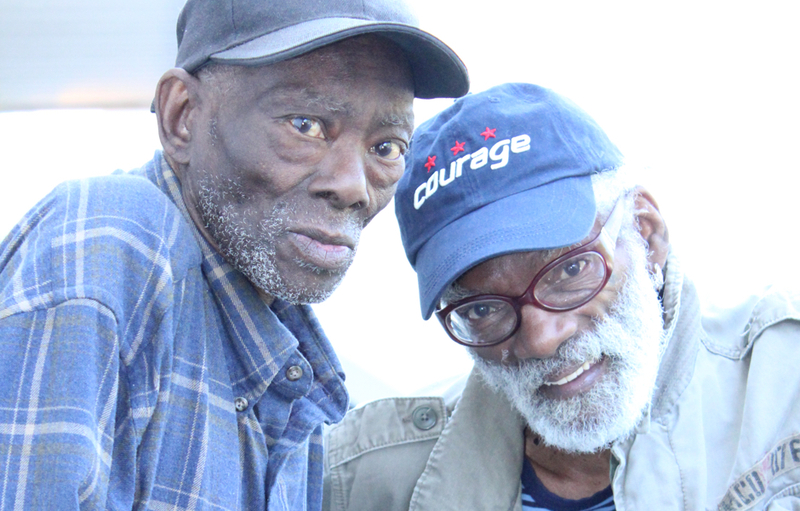 The Mission has been serving veterans since 1884 when homeless Civil War veterans came to the capital for help. This tradition has continued every year since and will continue as long as the need exists. The Mission will provide emergency and long-term support to help homeless, hungry and unemployed veterans meet immediate needs, restore their lives and get back on their feet. Based on the 2015 Point in Time count of homeless guests at the Mission, among the veterans: 65% were chronically homeless, 57% were formerly institutionalized, 43% reported chronic health conditions, 26% had mental health conditions and 26% had physical disabilities. Shelter. On average, 17 homeless veterans stay in the shelter each night. Some are referred to the Mission by the Veterans Administration. Through a no-cost Memorandum of Understanding with the VA, the Mission provides short-term housing for veterans while they participate in VA programs for homeless veterans. Through this partnership, the Mission provided 1,195 nights of shelter to 48 veterans over the past year. This is in addition to over 5,000 nights of shelter provided to veterans not referred by the VA.
Food. Through its food pantry, the Mission serves on average 35 veterans per month, providing each of them and their families with enough groceries for about 96 meals each month. The Mission also serves 3 meals per day to homeless guests as well as other hungry people who walk in its doors, amounting to over 50 meals per day for veterans. Altogether, the Mission provides over 58,000 meals to veterans per year. Workforce Development Programs. Approximately 2 veterans participate each year in the Mission’s Work Therapy Program and Ready2Succeed programs, that provide work readiness training, employs veterans in-house in the Mission’s homeless shelter and food pantry and in Mission-held contracts and entrepreneurial ventures. The Mission employs each participant for 6 to 24 months and helps them secure unsubsidized jobs and housing. Supportive Social Services and Education. Veterans benefit from all levels of service of the Mission, including social services; classes in GED preparation, Basic Adult Education, and job search skills; transitional housing for working veterans who cannot afford their own rent; and rehabilitation from drugs, alcohol and other addictions. All-told, on average 10% of those the Mission serves are veterans, amounting to a total expense of $500,000 per year in direct support and services. Most of the Mission’s support comes in small contributions from individuals. Currently, no funds are received from the Veterans Administration or other government agencies. The Mission is seeking the support of the donor community so that it can maintain and expand the level of service it is providing to homeless and hungry veterans. With the support of a caring community, the Mission will be better equipped to meet the needs of veterans in the Washington, DC-Maryland-Virginia area who need a hand and ensure that no one is left behind. Give today. Read about the Gittens Family who struggled to find an affordable place to live with their children after leaving the Army here.